Andrew Jillions joins us again to discuss the Kimberly Process of diamond certification in the context Zimbabwe. As Andrew explains, the case of Zimbabwe risks undermining a process which, for all its faults, remains the best way to prevent the use of diamonds to fuel conflict and human rights abuses. For all the progress that has been made in enforcing international justice, there’s plenty of work still to do in making sure institutions designed to advance human rights protection actually do so. In this guise, look out for a ‘rolling set of salvos’ to be delivered in the coming weeks against the Kimberley Process by civil society groups. (The Kimberley Process (KP) is a joint initiative by governments, industry and civil society to halt the flow of conflict diamonds, instituting a certification scheme (KPCS) that imposes requirements on its members to enable them to certify shipments of rough diamonds as ‘conflict-free’). The opening shot was the walk-out of the last meeting in June and the decision to boycott the upcoming plenary meeting. 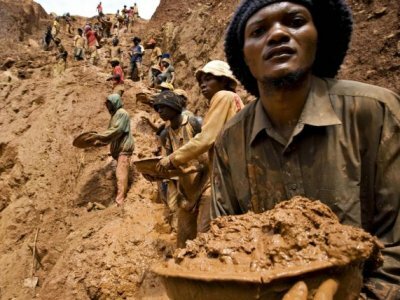 The trigger for this has been the organisation’s approval of the sale of diamonds from Zimbabwe’s Marange region, where there is evidence of widespread and systematic killings and “torture camps” run by the security services. This excellent Panorama documentary provides a harrowing account of this, as well as a depressing picture of the limits of international justice. 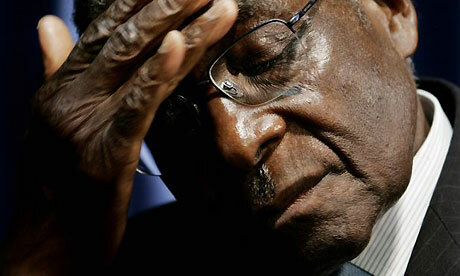 The current saga goes back to a roundly criticized November 2009 report by the KP’s man in Harare. Despite the evidence to the contrary, it concluded that there had been a ‘visible and verifiable’ improvement in the government’s record of compliance. Revealingly, as far as the KP was concerned, the fact that a review took place at all was occasion to celebrate. The effect of the report was first to allow two auctions of Marange diamonds in August and September 2010, and more recently to unilaterally lift the ban on Marange diamonds, despite opposition from the EU and US. This stamp of legitimacy opened the door to selling Marange diamonds on the open market. And things are moving quickly: the KP has since certified more than $200 million of Marange diamonds, with estimates that the decision will generate something like $334 million over the course of this year. This decision seems to have resolved civil society groups that the certification process, in its current guise, is more effective as a cloak for injustice than anything else. Certainly the KP’s decision plays into the resource curse. It raises the stakes for those in power to maintain political and military control, increasing the likelihood of violence in the next elections. The hope is that by boycotting the process civil society groups might be able to force the organisation to confront its failings and inaction on human rights issues, something it has so far been unwilling to do, and not only in Zimbabwe. Precisely because of the wide gap this leaves in the KP’s oversight ability, civil society groups argue that the applicable standard should be diamond-fuelled violence. This would make better sense with regards to the general purpose for which the KP was originally conceived: to avoid trade in diamonds ‘dripping in blood’. The situation as it currently stands amounts to allowing a state to trade on the grounds that although the diamonds may be dripping in blood, it’s not the right kind of blood, or present in sufficient quantities. The actions of the KP on Marange diamonds suggest that there is no chance of putting this more expansive standard into practice, and sends a signal that human rights abuses aren’t necessarily a barrier to legitimately profiting from the world diamond markets. 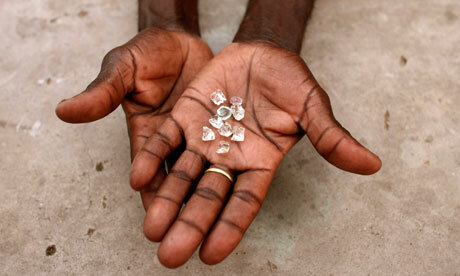 Without the involvement of these civil society groups in the Kimberley Process it is effectively dead in the water. This is a shame, because despite its many faults, it is still the institution best placed to act on this issue. If only it agreed. This entry was posted in Economics of Conflict, Human Rights, Justice, Kimberly Process, Zimbabwe. Bookmark the permalink.